I remember being you. I remember sleepless nights and days spent playing play dough, swinging on swings, and catching butterflies. I remember craving adult conversation after days-on-end of conversing with little people with limited vocabularies. I remember moments of hopelessness and feeling utterly alone in the constant “neediness” that surrounded me. I remember. I remember proudly celebrating this move towards independence as they each learned to feed and dress themselves, brush their own teeth, tie their shoes, and the myriad of ot her little milestones that slowly chipped away at my long list of duties. One of those times that is burned in my memory is when one daughter proudly marched into the kitchen with a messy ponytail declaring, “Look Momma, I did it myself.” I cheered and told her what a good job she’d done, internally rejoicing that I would no longer have to battle her little tangles as part of my everyday routine. 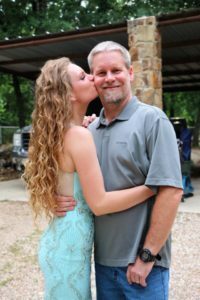 Recently that memory vividly flashed back to me as I sat and watched her thoughtfully curl her long tresses and carefully pin them in place as she dressed for her senior prom. With tear-filled eyes, I looked at this beautiful, so-grown-up young woman. The mixture of pride, sadness, and excitement that stirred through my heart in that moment was a reminder that this “job” of raising children is the single most important feat, accomplishment, task, etc. that has been or will ever be set before me. Just like that. Just like that, the hours turned into days, the days into weeks, the weeks into months….you get the point. Just like that, and the independence that you’ve strived to instill becomes who they are, and you realize how much you actually do cherish every moment. 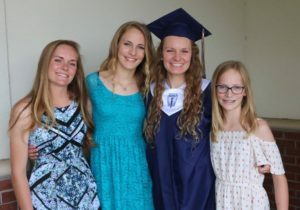 I look at my daughters, now 18, 16, 14, and 12, and I’m in awe. How did these amazing creatures come from that tired, stressed, we ary momma? For those of you who are in those trenches of diapers and runny noses, and endless feedings, reading storybooks, buckling car seats, holding hands, etc., take heart. Just as the annoying stranger in the grocery store said, “they’ll be grown before you know it.” One of those times when you see her and you have the urge to give her your standard smile-and-nod reply while internally rolling your eyes, don’t. Instead, take just a moment and ask her to share a memory of her kids, or tell her about yours. Chances are, she isn’t really warning you that your kids will, in fact, grow up. 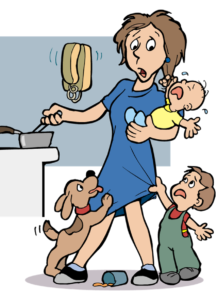 She looks at your babies and she sees her own. She sees herself pushing a cart of toddlers or coddling a sleepy infant. She remembers. She might see you with a twinge of envy, now that she is older and wiser, and wish for just a snippet of time to come back so she can hold tiny, grubby hands and wipe away little tears. Let her in. Take her admonishments to heart. She knows.